Is there a Maven plugin that allows you to check if there are newer versions of dependencies available in the repository? Say, you are using dependency X with version 1.2. Now a new version of X is released with version 1.3. 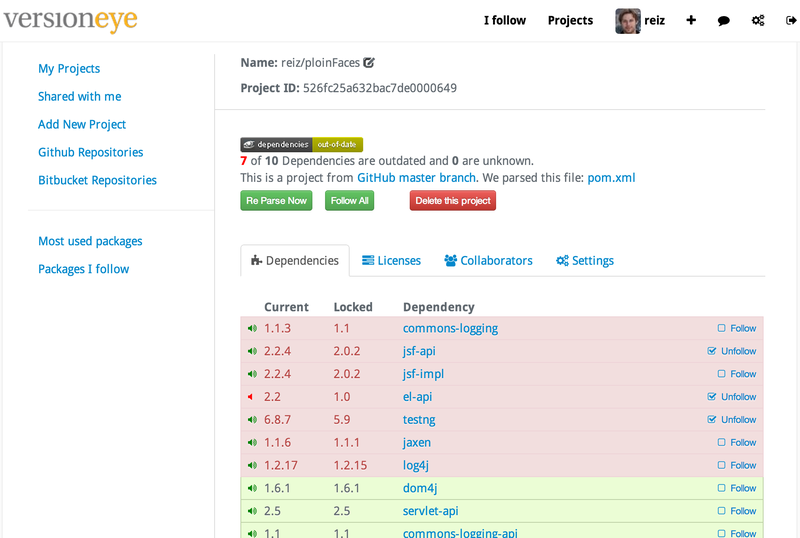 I'd like to know, based on the dependencies used in my project, which dependencies have newer versions available. If you want to receive email notifications when newer artifacts versions are available on Maven Central you can create an account on artifact-listener and choose which artifact you want to follow. You can either search manually for artifacts or directly upload your pom.xml. The VersionEye Maven Plugin is doing the same: versioneye_maven_plugin. 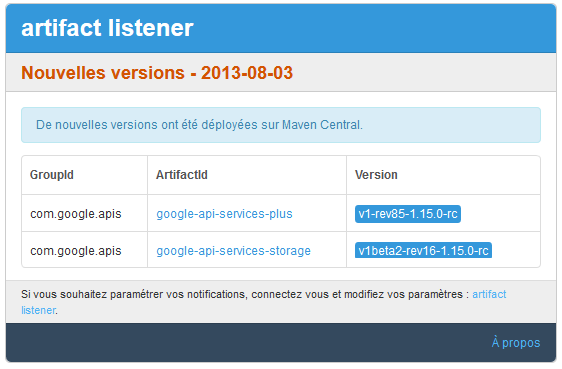 VersionEye can notify you about new versions on Maven Repositories, too. It is a language agnostic tool and beside Java it supports 7 other languages. Beside the simple follow/notify feature it can also directly monitor GitHub and BitBucket repositories and notify your about out-dated dependencies in your projects. There is also a REST JSON API, for tool integrations. By the way, I'm the dude who started this project. Let me know if you have questions. Not the answer you're looking for? Browse other questions tagged maven-2 version dependencies or ask your own question. Is it possible to retrieve quick documentation about dependency in pom.xml without leaving IntelliJ? How to exclude dependency in a Maven plugin?